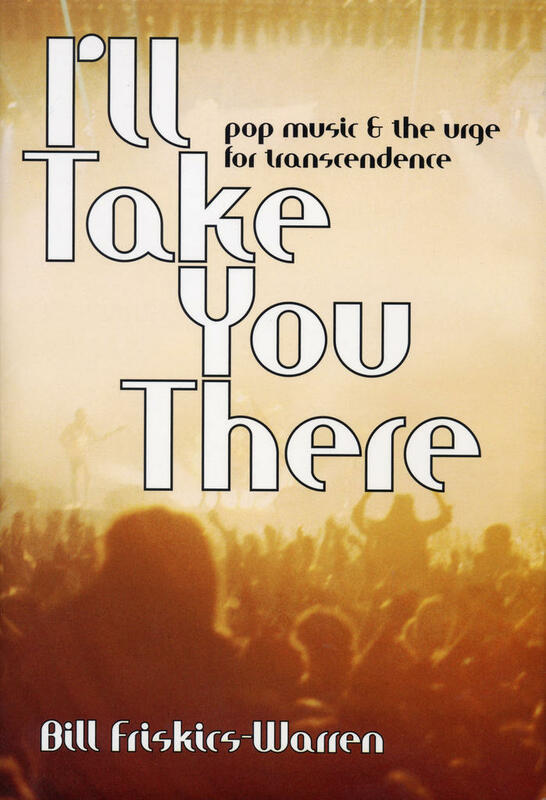 If you don't mind, this week I'd like to shy away from the series a little, and concentrate on our excellent new book by Bill Friskics-Warren - I'll Take You There: Pop Music and the Urge for Transcendence. It's a wonderful piece of writing, looking at spirituality in the works of Springsteen, Johnny Cash, Madonna, Polly Harvey, Jimmie Dale Gilmore, the Mekons, Marvin Gaye, Tricky, Nine Inch Nails, the Stooges, Public Enemy, U2, Sleater-Kinney, and many more. I'll post individual passages on a few of those as the week goes on, but today we'll start with Bill's prologue. Enjoy. About the time that I began writing this book, the local department of public works started putting in a dog park behind the community center near our house in east Nashville. Piled up on the basketball court behind the field house were several mounds of dirt, each maybe five or six feet high, that the workers had dug up to pour the forms for the sidewalk. One of the mounds sat directly in front of the backboard and rim at the south end of the court. Each afternoon when I cut behind the community center on my run I could count on seeing a few kids around the age of nine or ten dunking basketballs from that elevated station. It was a natural enough thing for them to be doing, an impulse, born of their impatience with the limitations of their age and stature (and, no doubt, of visions of NBA glory), to reach higher than they otherwise could have. Seeing that mix of kids striving, day after day, to grasp what was beyond their normal reach stuck with me. It also struck me as an apt metaphor, however prosaic, for our innate hunger for transcendence, and for how that hunger is expressed by the musicians discussed in this book. Talking about pop music in the same breath as transcendence might strike some people as high-minded or over-earnest, if not as altogether quixotic. Such a reception almost certainly would have greeted this book during the irony-clad decade that preceded this one, and this, despite the unabashed striving for transcendence evident in the music of tragic pop icons like Kurt Cobain and Tupac Shakur. Or, for that matter, in that of Jimi Hendrix and Janis Joplin a generation before them. Yet spirituality—and that is precisely what the language of transcendence refers to—has lately made a comeback. After the attacks of September 11, 2001, the U.S. invasion of Iraq, and the heightened sense of global insecurity with which we now live, people seem increasingly conscious, certainly in the persistently narcissistic United States, of the brokenness that pervades our world. Perhaps due to this keener awareness of our vulnerability and finitude, more people are reflecting on things that point beyond the quotidian or the everyday; more are preoccupied, as the theologian Paul Tillich put it, with things of ultimate, as opposed to penultimate, concern. This even is true of pop music, where recent recordings as disparate as rapper Kanye West’s “Jesus Walks” and Hoobastank’s modern-rock anthem “The Reason” not only resonated spiritually with listeners; they topped the charts, sold millions of copies, and won Grammy Awards. Pop music perennially has been viewed as disposable—or worse, as spiritually bankrupt. Yet from “A Change Is Gonna Come” to “Smells Like Teen Spirit,” pop records long have given voice to an urge to “move on up” or “get higher,” regardless of how that striving is understood by the musicians who express it. This talk of elevation or “higher ground” notwithstanding, this book is not a work of philosophy or theology, at least not in any strict academic sense. Entire portions of what follows do not even, for example, refer to God, and many make more of the absence or inscrutability of the divine than anything else. Nor is this an apologetic for the convictions of any of the musicians under consideration. More than anything this book is a volume of criticism that looks at the different ways that people seek, express, and, however fleetingly, experience transcendence, a definition of which I unpack in the introduction that follows. Drawing on various philosophical and theological frameworks, as well as on different types of social analysis and arts criticism, this book attempts to expand the ways in which we understand not just the spiritual impulses of the musicians in question, but our own as well. This is a book, in other words, about spirituality with what might be termed a small “s” instead of spirituality as it tends to be promulgated by organized religion, which, being a human construct, often codifies spiritual impulses and suppresses them. In contrast to that religious inclination, this project seeks to push back the horizon of what people commonly view as spirituality. Part of this simply involves making room for manifestations of spirituality that typically are not understood as such by recognizing the spiritual impetus at work in, say, eroticism, negation, and resistance. Part of it also has to do with seeing the continuity between these commonly unacknowledged expressions of spirituality and more overt embodiments of it like prophecy, contemplation, and empathy. Ultimately this means engaging the music discussed in these pages—most music, in fact—as inherently spiritual rather than as merely incidentally or accidentally so. In this way, and in what I hope proves a transcendental move of its own, I hope that the eight chapters that follow do for you something akin to what the music of the artists discussed in the book does for me: take you higher. What follows, though, is not an attempt to lay out a systematic understanding of what is, perhaps uniquely, a human urge for transcendence, or even to chart the contours of human spirituality in general. Despite its overarching conceptual schematic, and despite the fact that it seeks to elucidate an encompassing array of ways that popular musicians express a striving for something deeper and more abiding than the everyday, this book is not a systematic undertaking at all. Nor is it an attempt to ascertain, in any definitive way, what the artists in question intend or might be trying to “say.” Or, for that matter, to unearth religious nuggets from their work or to serve as an apologia for the “hidden” Christianity, Buddhism, or whatever else might be mined from their recordings. This book instead is an attempt to understand what the artists discussed here are trying to convey, as well as to explore how their outpourings illuminate the hunger for transcendence at the heart of human experience. As much as anything, it is a response to and way of entering into dialogue with these artists and the bodies of work that they have created. My interest lies in popular music, rather than in gospel, “contemporary Christian,” or other types of religious music. This is not to disparage the latter, the examination of which I happily to leave to others. My concern is with those epiphanies, if only for their power to unite people across faiths and cultures, that have in some way broken into or out of the cultural mainstream. My interest lies with those articulations of the urge for transcendence that have found their way into the popular zeitgeist without recourse to dogmatic or sectarian agendas. It is not only because of that, though, that pop recordings form the backbone of the discussions that take place in this book. As far as Western popular music goes, the so-called secular expressions of spirituality with which I take up in this book have, with the exception of the black and Southern gospel genres, accounted for vastly superior music than those that have come from, say, contemporary Christian circles. I also have chosen to explore the work of some thirty individual artists, as opposed to clusters of recordings made by a much broader array of musicians grouped together under certain rubrics. As listeners we relate to and identify with individual musicians and bands and follow their careers in the press. Looking in depth at the larger bodies of work of particular artists thus lends the book’s discussions a familiar, or at least discernible, trajectory. Examining entire careers also affords a better glimpse of the way that the artists’ expressions of the urge for transcendence change over time, which many invariably do. Finally, pursuing this tack helps uncover how the broader social, historical, and cultural contexts from which the artists emerged gave rise to both their music and their striving. The discussions that follow are not, in any case, artist profiles or reportage. Compared with most contemporary writing about pop, rock, and hip-hop, they might seem a little light on biographical material, relying more on the analysis of artists’ recordings and on the examination of the larger contexts from which their music arose. And by recordings, I mean just that—words and music. 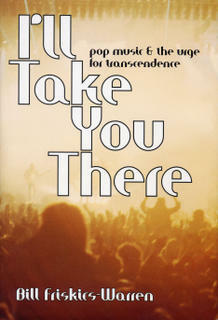 This book seeks to gainsay the logocentric tendency, which is all too prevalent in writing about pop music, of privileging a record’s lyrics over everything else. The unfortunate effect of that practice is to reduce recordings to works of “poetry” backed by beats, guitars, or what have you instead of treating them as potentially rich arrangements of notes, rhythms, silences, and effects that “say” more than the words that come from the singer’s or the MC’s mouth. I have sought, with considerable diligence, to avoid falling into this trap. In much the same spirit of inclusion, the exegeses that follow constitute what I hope is an encompassing constellation of manifestations—from rock and rap and industrial music to country and electronica and soul—of the urge for transcendence in contemporary pop music. I have focused almost exclusively on musicians who emerged or made their mark in the past three or so decades, the era, loosely speaking, of rock, soul, and rap (as opposed to rock ’n’ roll). Part of this has to do with the fact that these artists share many social and cultural reference points with the vast majority of people who might read this book. Just as crucial is the fact that whether we are talking about Bing Crosby, Billie Holiday, or Robert Johnson, or about Hank Williams, James Brown, or the Beatles, the artistic and spiritual outpourings of many early or transitional figures in the pop, jazz, blues, “hillbilly,” and rock ’n’ roll genres have been scrutinized exhaustively elsewhere. The work of some of the artists discussed in these pages has been considered at length as well. None of it, however, has been looked at primarily in terms of how it gives voice to a hunger for transcendence. Certainly none of it has been examined as part of a larger undertaking like the one that this book represents. I chose to include some of the artists, and in what is perhaps quintessential postmodern fashion, because they best helped expound the categories that I use to examine the urge for transcendence in popular music. In most cases I could have selected other artists, and they might have served the book’s purposes just as well—the Clash, for example, instead of the Mekons, Ani DiFranco instead of Sleater-Kinney, the Coup or Rage Against the Machine instead of Spearhead, Prince instead of Marvin Gaye or Madonna. This, however, is not a book solely about first-generation punk bands, post-feminist rockers, leftist agit-rappers, or pop artists of a sensualist bent. I had to make choices, not only to keep from repeating myself, but also to account for a sufficiently broad range of articulations of spirituality in popular music. Such is the heretical imperative, or burden of choice, inherent in any project of this scope. Less crucial, in the end, is exactly which artists I included—someone else could have written a comparable book using other exemplars—but whether my engagement with the work of the musicians that I have selected adequately illuminates my subject. And again, my concern is with popular music, which explains why, with maybe a handful of exceptions, the artists discussed here will be familiar to most readers who follow pop music, rather than just to cultists or critics. Some of the musicians discussed here might not be able to articulate exactly what it is that, driven by their spiritual restlessness, they are searching for. Some of them might not even be able to see beyond the antipathy that colors their lives and music to envision what might satisfy that striving. Ultimately this does not matter. The fact that these artists are reaching at all, and that they have the presence of heart and mind to express their restlessness through music, is evidence of their desire to participate in something greater than what they know and thus is transcendental. This is not to say that these artists do not know what they are talking about or feeling, or in any way to patronize them or their work. Nor is it, once again, to ascribe philosophical or dogmatic aims to what they are trying to say. It is merely to acknowledge the transcendental impulse that the striving of these artists, as conveyed by their music, betrays. Some musicians might be conspicuous in their absence from these pages. For example, the Velvet Underground, who, while in some ways perfect exemplars of the negation that I explore in Chapter 4, were just too hedonistic and thus uttered too loud a “Yes” to life to fit there. Pere Ubu, Captain Beefheart, and Parliament-Funkadelic are other cases in point, all of them far too mercurial, and inscrutably so, to lend themselves to the fairly circumscribed discussion at hand. All of which is to say nothing of Bob Dylan, who simply towers over the field. Dylan was the wedge who cleaved the hitherto hermetic universe of pop music, a world that still clung to ill-fitting distinctions between the sacred and the profane, the eternal and the mundane. Even if such claims for Dylan’s legacy might overreach somewhat—Ray Charles and Sam Cooke, after all, shattered their share of assumptions during the 50s and early 60s—Dylan at least blew open the aperture, forever altering the pop landscape and how we survey it. Even devoting a chapter to his music and the tectonic shift that it set it motion would seem trifling in this context, especially with so many attempts to do some version of this already in print; plus, you can’t do it all. Finally, I have chosen to look at articulations of the urge for transcendence in the work of musicians, instead of, say, film directors or playwrights (although I’d warrant that similar treatments of movies and theater still might go begging). I have concentrated on pop music in part because, as a critic, it is what I follow most closely, but also because it has served, along with fiction, as the most profound point of convergence between art and spirituality in my life. Pop music functions this way in the lives of a great many people, and it played this totemic role long before the advent of modern recording technology. Everything from the Anglo-Celtic ballad tradition to the centuries-old art of West African drumming and storytelling has shown us that. All of which is not to privilege the likes of PJ Harvey, Curtis Mayfield, or Public Enemy over, say, Robert Altman, August Wilson, or Jean-Luc Godard. It merely is to acknowledge that of the various founts of pop culture from which I have imbibed, I have drunk at the well of popular music more deeply, and have gotten higher there more often than anywhere else. This book examines the work of some of the artists whose music has taken me to that place, much as those mounds of unearthed dirt did for the kids on the basketball court behind the community center in my neighborhood. My hope is that some of what follows will take you a little higher as well.